ALH mission is to build quality through a patient work. 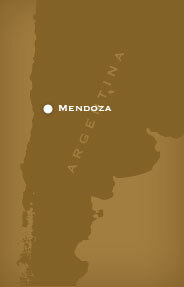 In Mendoza we have found the place that we were looking for, a place where traditional values of Wine can be reinvigorated with a modern approach, to produce a unique, contemporary Wine. We believe that our Mission here is to build, and to keep on building as this Terroir keeps responding to our work, and rewarding our work with its beauties. "A job for Ants" is the Argentine saying for humble, patient, extended work; therefore the Ant is our symbol and our good luck charm. We work with great pride, but we are aware that keeping an open mindset, humble enough to be always willing to learn new lessons, is the secret to grow as persons and as winemakers. In Mendoza we have found the place that we were looking for.